Signed front center of base: A. Rodin Foundry mark rear center of base: Alexis RUDIER. / Fondeur. PARIS. 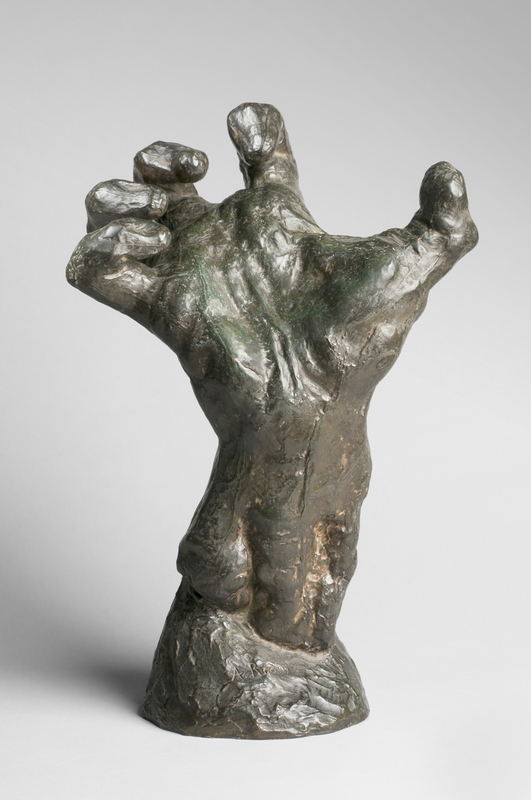 Rodin explored the expressive power of hands almost obsessively, using them to convey an infinite variety of emotions—fury, anguish, fatigue—and as metaphors for creation. It is thought that he conceived The Clenched Hand as a study for The Burghers of Calais (Philadelphia Museum of Art, F1929-7-129) but probably rejected the hand as being too fiercely animated. 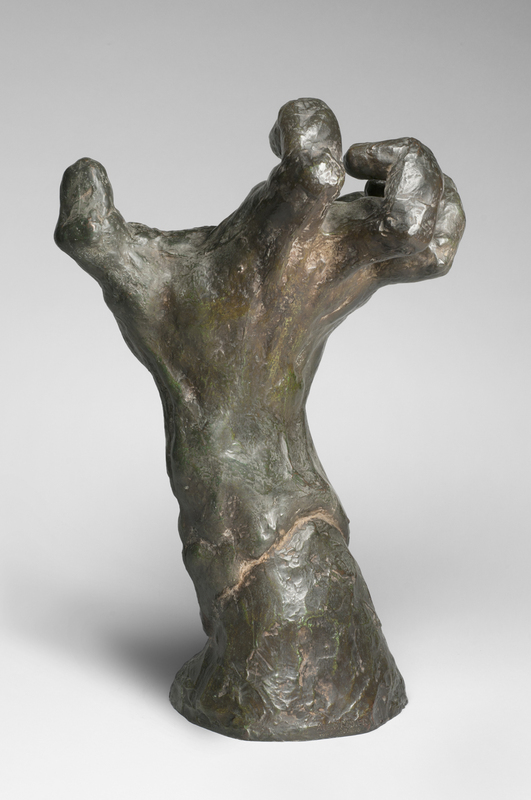 Rodin worked in traditional sculptural materials such as clay, wax, plaster, bronze, and marble. Although he did not attend the renowned École des Beaux-Arts (School of Fine Arts) in Paris, he learned the craft of sculpture through experience and years of employment in the studios of other artists. As he explained, "In addition to sculpture and design, I myself have worked at all sorts of things. I've cut down marbles, and pointed them; I've done etching, and lithography, bronze founding and patina; I've worked in stone, made ornaments, pottery, jewelry—perhaps even too long; but it all has served. It's the material itself that interested me. In short, I began as an artisan, to become an artist. That's the good, the only, method." Once he became an established artist, Rodin relied on a large studio of assistants to help him create large-scale works. Their presence allowed him to delegate the production aspects of his sculptures so that he could focus on conceiving and executing new pieces.